Opis: Cosmic wreckage from the detonation of a massive star is the subject of this official first image from NASA's Chandra X-ray Observatory. 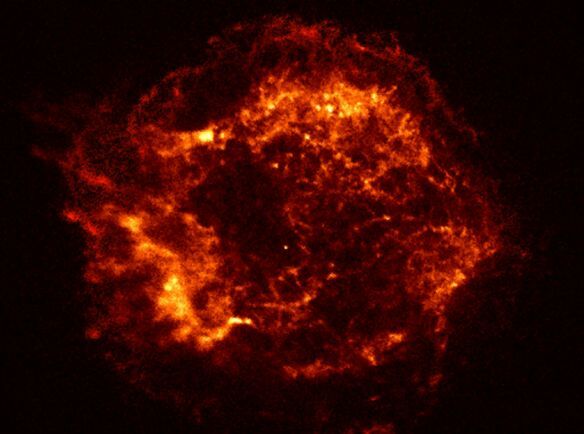 The supernova remnant, known as Cassiopeia A, was produced when a star exploded around 300 years ago in this northern sky constellation. It is revealed here in unprecedented detail in the light of X-rays - photons with thousands of times the energy of visible light. Shock waves expanding at 10 million miles-per-hour are seen to have heated this 10 light-year diameter bubble of stellar debris to X-ray emitting temperatures of 50 million kelvins. The tantalizing bright speck near the bubble's center could well be the dense, hot remnant of the stellar core collapsed to form a newborn neutron star. With this and other first light images, the Chandra Observatory is still undergoing check out operations in preparation for its much anticipated exploration of the X-ray sky. 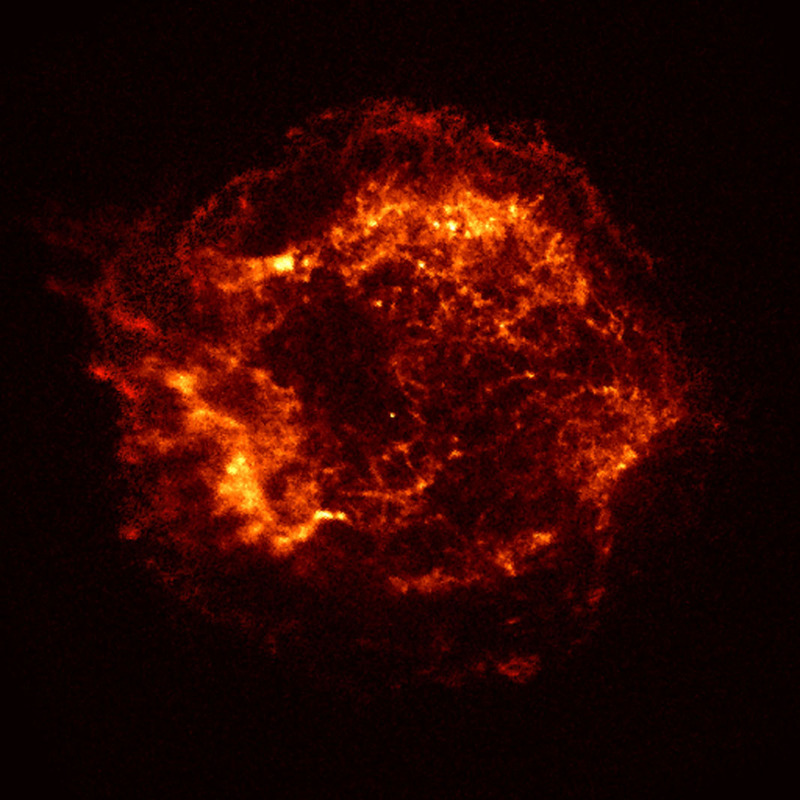 Chandra was launched aboard the space shuttle Columbia in July.